I've resisted writing about Bitcoin because I strongly feel that it has no place in my investment portfolio. While I follow a very specific passive investing approach, I can't help but address a number of conversations I've had recently with friends, colleagues and beginner investors about Bitcoin and other cryptocurrencies. The number of recent conversations I've had about it is just too high to ignore. So in short, everybody and their mother is talking about bitcoin right now, but what is Bitcoin? And where does it fit in an investment portfolio? Here's a quick post to shed some light. Bitcoin is a cryptocurrency and it's currently the most popular one on the market. This chart shows the price of 1 Bitcoin over the last 365 days - you can see the value has increased dramatically over the last year (+1,188.70%). These values are in US dollars (or USD). So you can see, the reason why everyone is buzzing about it is because it's increased in value so much. The short of it, if you had invested $1 dollar in Bitcoin a year ago, it would be worth roughly $11.88 today. A digital currency where encryption techniques are used to regulate the generation of units of currency and verify the transfer of funds, operating independently of a central bank. Blockchain is a digital ledger in which transactions made in Bitcoin or another cryptocurrency are recorded chronologically and publicly. A lot of people would argue they are investing in this technology when they buy a particular cryptocurrency. But it's not what is making people instant millionaires. Like... world changing, human race altering money. This is how much people are valuing cryptocurrencies, but what service or value are they currently providing? Those currently buying Bitcoin argue that cryptocurrencies will become an increasingly important part of our lives. While I mostly believe this is true - I don't believe this is a strong enough argument to invest money, in any amount, into it. It just does not follow the investment strategy I follow - documented in the Guide to Financial Independence. 1. It's impossible to actually value Bitcoin right now. This is a really big one. Currently Bitcoin is a global craze - even my security guard who has no idea what a blockchain is, is trying to buy cryptocurrencies. Because so many new people are buying it (and so quickly), it's almost impossible to value it. At the end of the day, it's a cryptocurrency and the value of a currency is stability - Bitcoin is the opposite of stable right now. As my mentors always explained to me - a hard rule in investing - you should always know the true value of something, so you can buy it at a lower price and sell it at a higher price. When the price of anything fluctuates 10-30% in one day, it's very volatile, i.e. you could lose all of your money very quickly. This is a bad investment to have a large sum of money. Especially if you need your money to live. With the insane short-term fluctuations, Bitcoin is so highly speculative, it's pretty much short term gambling, not investing (very different). To review the hierarchy of building wealth, check the Guide to Financial Independence. 2. In the end there may not be any true value in Bitcoin, at all. While you can argue the merits - most people aren't buying into the value of the technology, they're buying into the hype. This is gambling, not investing. This carries into the next point. To give this discussion some historical perspective, about 20 years ago we saw the same argument made with a new technology that would become an increasingly important part of our lives - it was called the internet. At the time, investors paid extraordinarily high prices for Internet-based companies (dot-coms) that were believed to be very well positioned to profit from the expansion of the internet. As we have all experienced, the internet did go on to change our lives in a very profound way, but the vast majority of those companies went to zero when the dot-com bubble finally burst in 2000. An exorbitant amount of money was lost, and many investors were wiped out. Many dot-com companies completely disappeared, while others experienced their market value dropping up to 80%. A graph showing the price of 1 tulip bulb over a 4 year timespan (1634-1637). The Netherlands in 1636 - for whatever reason, investors began to madly purchase tulips, pushing their prices to unprecedented highs. The average recorded price of a single flower exceeded the annual income of a skilled worker. Tulips sold for over 4,000 florins (the currency of the Netherlands at the time). As prices drastically collapsed over the course of a week, many tulip holders instantly went bankrupt. It's a similar pattern today, people get caught up in hype. As a primarily passive investor, I stay away from hype. We see a massive upswing in the price of an asset due to investors losing track of rational expectations and psychological biases. A positive-feedback cycle (growing faster and faster) continues to inflate prices. Investors finally 'wake-up' and realize that they are merely holding something of trivial value that they sold their houses for, prices collapse due to a massive sell off and many go bankrupt. While they may be the currency of the future with sound technology, real application (some day) and stability (remember, the strength of a currency is it's stability) - right now is not the time to put money into these things. Just because something is the future, does not always mean the timing is right. People were 100% right about investing in the internet and new technology, but in 1997-2001 they got the timing wrong. The vast majority of the time, we just don't know the timing (nobody has a crystal ball). And even if we get it right, we exist in a world of other people who also invest their money, and in the case of the dot-com bubble or Tulip mania - things get over hyped and interfere with steady asset growth. Don't get caught up in the hype, stand your ground. 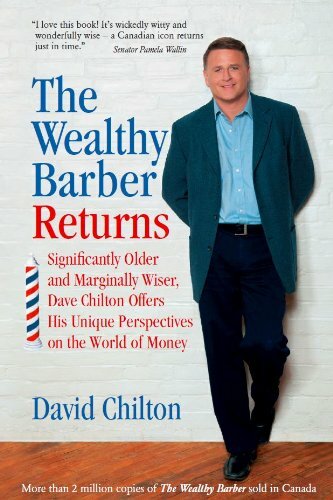 If you're looking for a great resource to get started investing, I recommend this book. It started it all for me back in the day. I'm now primarily a passive investor, which means I sleep well at night knowing my money is growing without my constant attention. TL:DR - I would not recommend buying Bitcoin or any other cryptocurrency right now, they are highly speculative investments & borderline gambling.